AER LINGUS IS offering to help customers who have been affected by the air traffic controllers strike reschedule their flights. 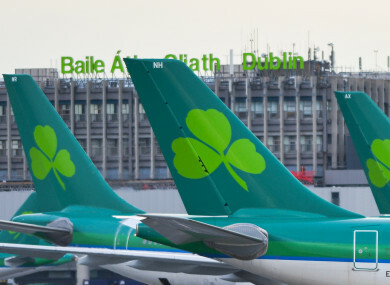 “In order to help minimise the impact of this ongoing strike disruption on guests, Aer Lingus is offering guests due to travel to the affected airports this weekend the option of changing their flight free-of-charge to a later date,” it said. Nice, Marseilles and Lyon are the affected airports. Saturday and Sunday are the affected dates. Four flights on Saturday have already been cancelled and the risk of additional cancellations or delays is significant. Cancel and apply for a refund. It’s advising all passengers to check if their flight is affected, and to get in touch if it is. Those wishing to change flights can do so via aerlingus.com or +353 1 886 8989. Please note that due to our busy summer schedule, there is limited availability on many routes. Between 2004 and 2016, French air traffic controllers were on strike 254 days – the highest number in Europe – while second-placed Greece only had 46 days of stoppages, Italy 37 and Germany four, according to the report seen by the daily. Ryanair and British Airways owner IAG said last week that it would file a complaint to the EU over what it argues is France’s failure to tackle crippling strikes by air traffic controllers. It said that repeated strikes by French controllers, particularly in Marseille, are having a devastating impact on schedules, with more than 750,000 passengers having flights cancelled in the first five months of 2018 alone. Ryanair CEO Michael O’Leary said 2018 was on course to be the worst year ever for controller strikes, with 28 days lost already. Email “Aer Lingus offers free flight swap to customers affected by French air traffic control strike this weekend”. Feedback on “Aer Lingus offers free flight swap to customers affected by French air traffic control strike this weekend”.